Did you know belt temperature is directly related to belt life? To make it as simple as possible your belt is made of rubber. The hotter it get the weaker it gets, and we have the scientific data to prove it! 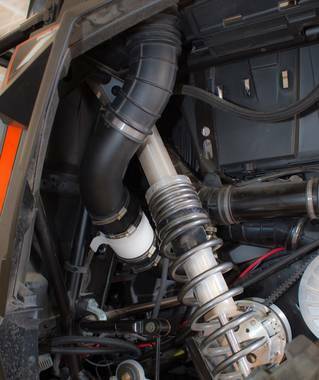 This is a complete belt care solution designed for the RZR 1000. 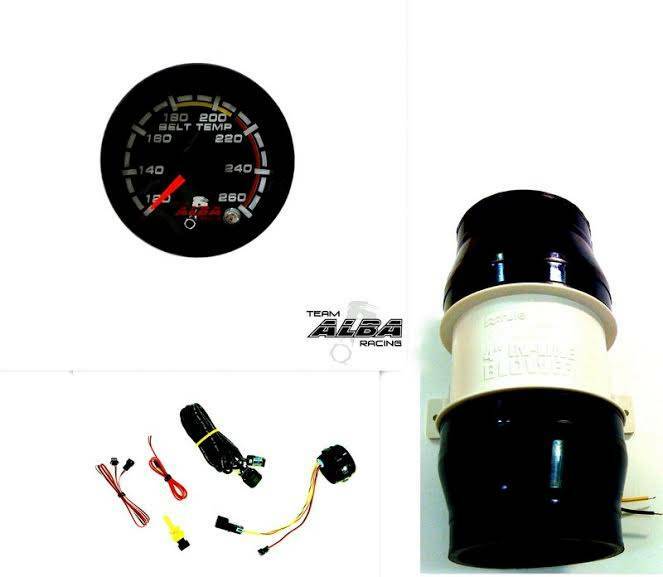 With this kit you get a belt temperature gauge that is programmable. You program the gauge to turn on your fan for a desired temperature range. When you belt reaches that temperature, your fan will come on. The gauge has a light to let you know your fan is running. Then once the blower cools the belt bellow your desired temp (We recommend 140 degress) your fan will turn off. No need to worry about turning your fan on or off! -Now tested and used by military (It works). 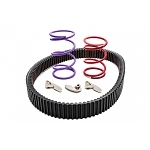 -Belt temp gauge with adjustable fan control. -Gauge has led to let you know the fan is running. 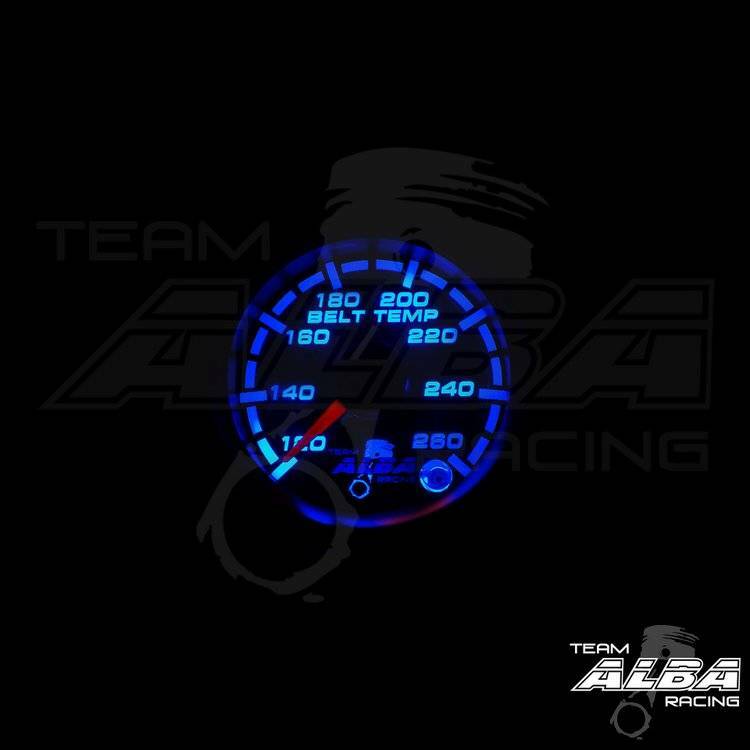 -Gauge face is custom to match your OEM gauge look. -Includes complete harness and relay pre wired (looks OEM). 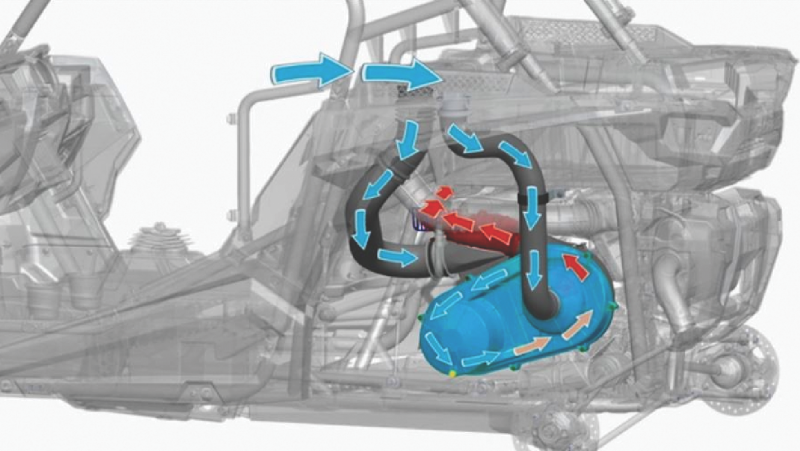 -Includes big 240cfm blower fan kit with template for easy install. -Belt temp gauge with fan controller. -240 cfm blower fan with couplers and clamps. -Complete wiring harness pre wired with relay. -This is a complete kit that includes everything you need. **Read below for more information. We developed this kit from our experience racing the SCORE series. This includes the Baja 1000. That is 1000 miles straight through. During this race we would typically go through up to 6 belts. We thought there has to be a better way. We found it. We can now make it 1000 miles on 1 belt. Almost every UTV racing in this series and many others are using this kit. Why? Because it works. We even have military and private contractors now using our belt temperature gauge. They tested it and they loved it. When you see your belt getting too hot you need to let it cool. 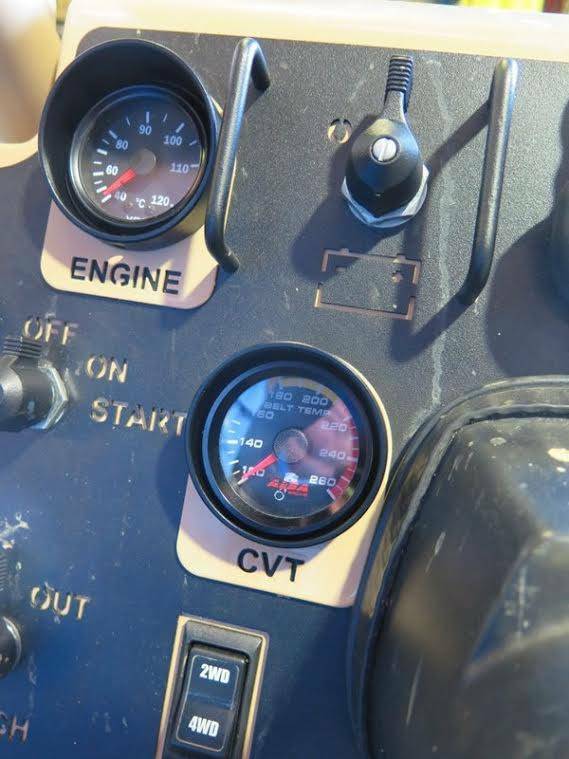 With this gauge you will learn what is creating the heat and how to combat it. A lot of the time it is actually slow cruising that creates the heat not wide open throttle. This gauge is a tool. We have now with this kit come up with a complete solution. 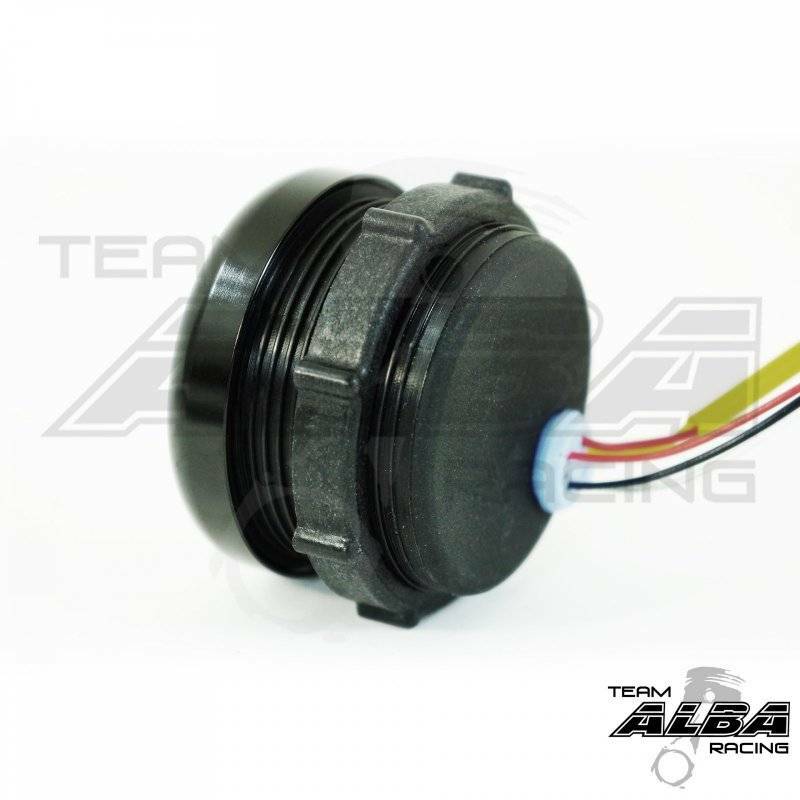 This is adding a blower to your CVT clutch to keep air flowing through your clutch housing to help keep it cool. This fan is controlled by the gauge, and can be adjusted to turn on at any temp you would like. No one likes to spend $200 on a new belt and no one likes changing a belt mid ride. We have found the one thing UTV owners have in the back of there mind while out having fun in there UTV is, "Am I going to break a belt?". Take control and help your belt last longer. 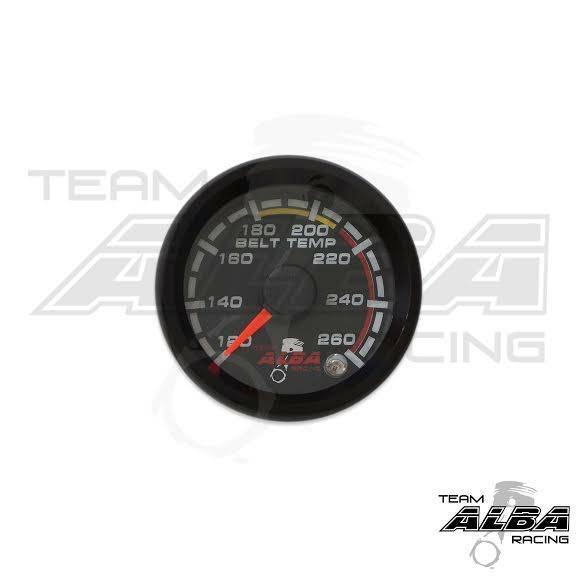 Our gauges are the highest quality available. They are made in the USA, and are sealed front to back inside a carbon composite case. We use high torque electric motors in our gauges to keep the needle planted and not bouncing around. Our harness is extremely high quality with weatherproof sealed connectors. This gauge is built for off road use and designed to be outside in the elements. This gauge is used to control a big 240 cfm blower fan that is included in the kit. You can adjust the temp that the gauge turns the blower on at. We recommend turning the fan on at about 140 degrees. 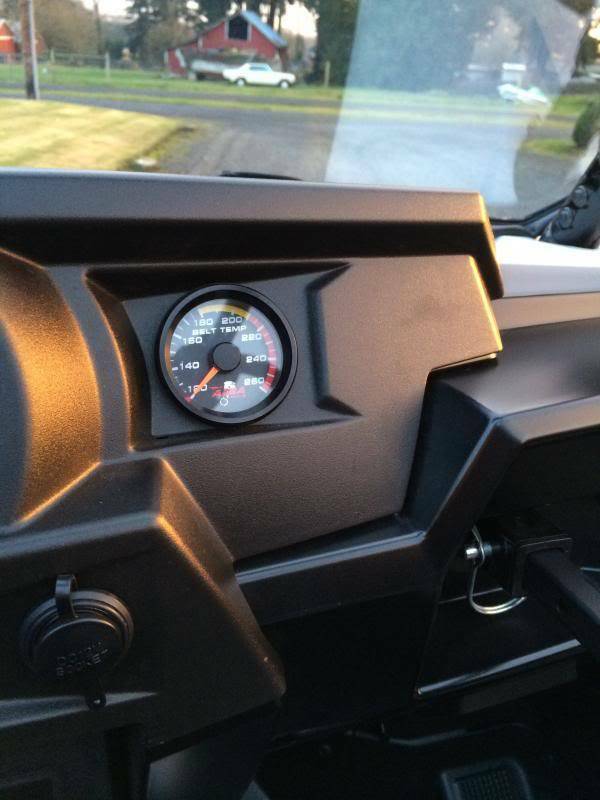 When the blower is running a led indicator will light up on the gauge to let you know it is running. 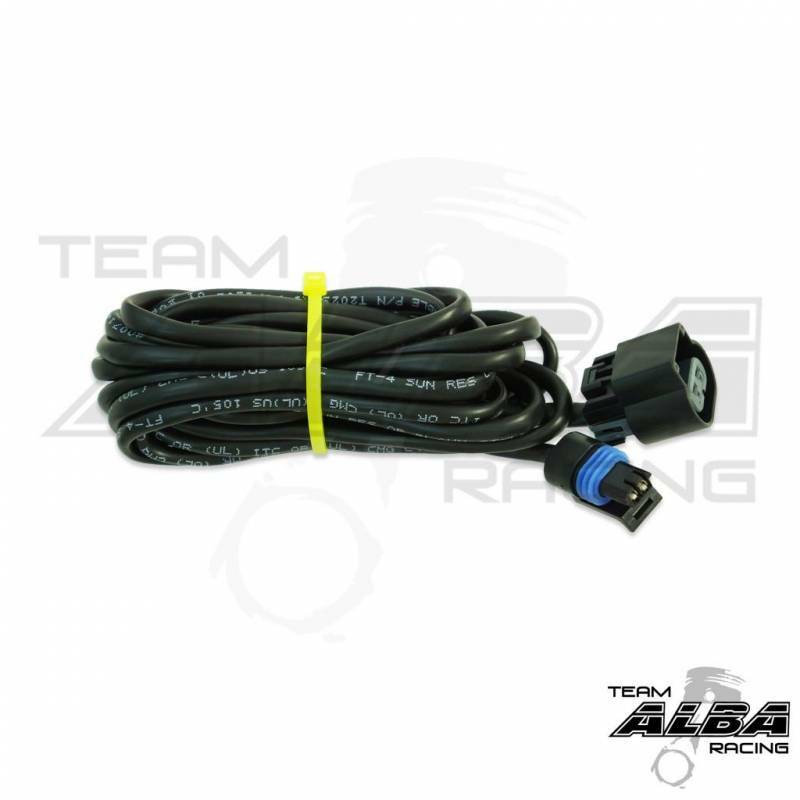 We include everything you need to install this kit on you RZR 1000 including a pre-wired harness to make installation as easy as possible. Belt life chart: The last picture we list is a chart by Gates. 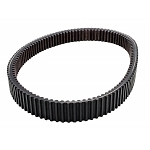 Gates it probably the largest supplier of the worlds CVT belts. 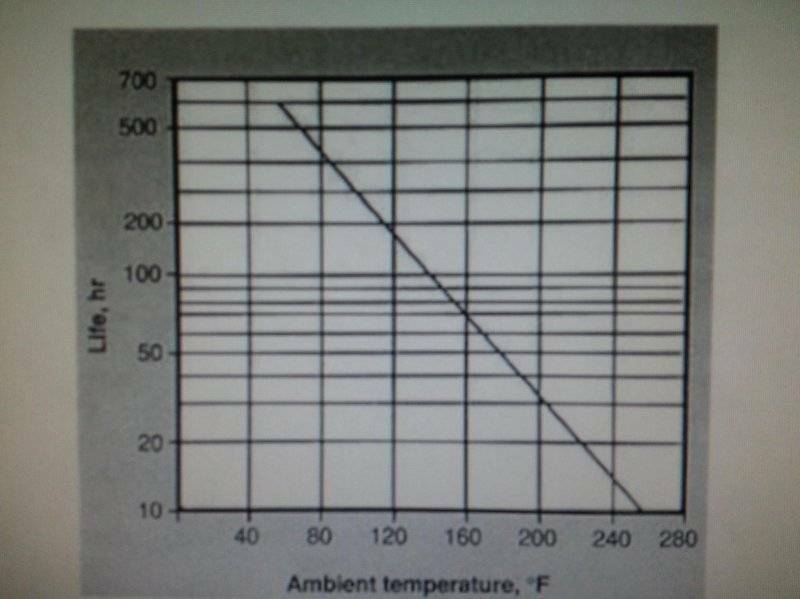 This chart shows there testing on how a belt life is directly affected by ambient air temperature in the belt housing. This is what we are measuring as we figured gates knew what they were doing as they did the testing. Per Gates at 120 degrees a belt should last approx 190 hours. At 160 degrees it will last 80 hours. At 200 degrees it will last 35 hours and at 240 degrees it will last 15 hours.